Life on the Open Road: Cheese, Cheese, and More Cheese! After our Lewis and Clark trip ended in Astoria, a group of us started moving down the coast. Our first stop was Tillamook, home of the Tillamook Cheese Factory. We were welcomed by Tilly. They have totally redone the tour route, adding signs that explain what is happening at each stop. After our self-guided tour, and free samples, we got the obligatory group photo. I got to drive! And got on a tour. It's not operating anymore, but we got a great view from up there. We then walked up to see the Octopus Tree, a Sitka Spruce close to 300 years old. And then we went to see a Sitka Spruce that was 800 years old! And this walk through a concrete tunnel. Both were great! Looks awesome. Where did you camp there? Yes I am trying to follow you guys. Hopefully catch up. 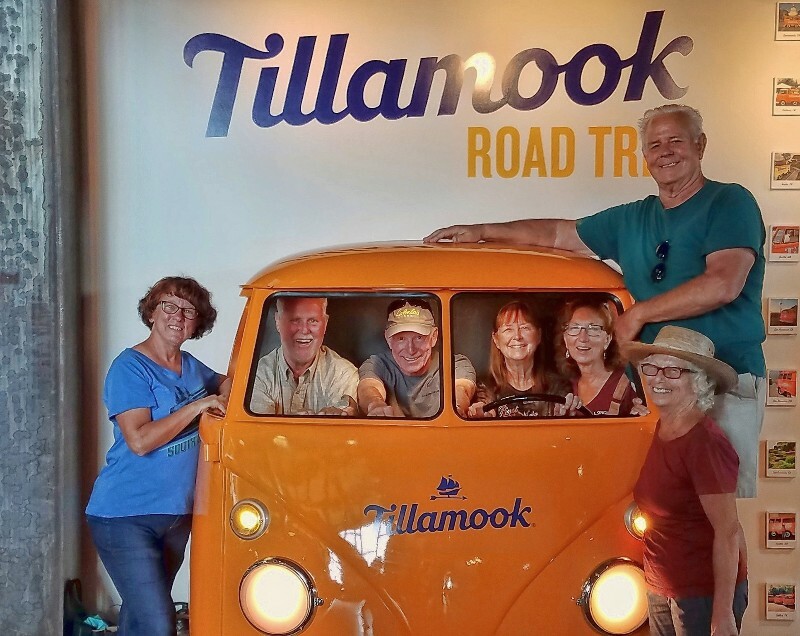 There's More to Tillamook Besides Cheese! The Best Piece of Rusty Stuff Ever!!! Oh Joy! The Ocean Is in View!